So having driven down to the Niagara Falls, we drove all the way back to Toronto and kept on going until we reached Algonquin Provincial Park. 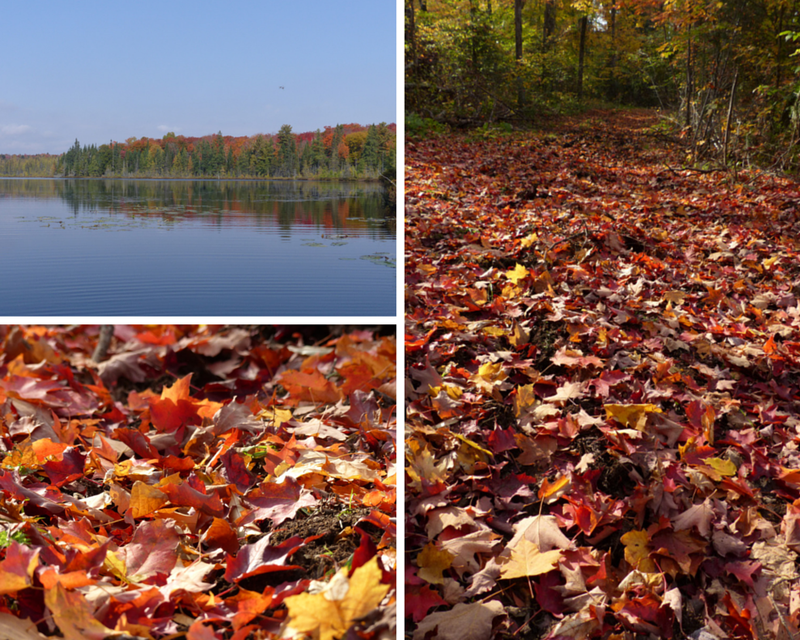 The Park is massive – about one quarter of the size of Belgium, and is home to forests and thousands of lakes. A main road to Ottawa passes through the Park in the far south, where a lot of the day-trippers go, with the majority of the Park only really accessible by canoe. 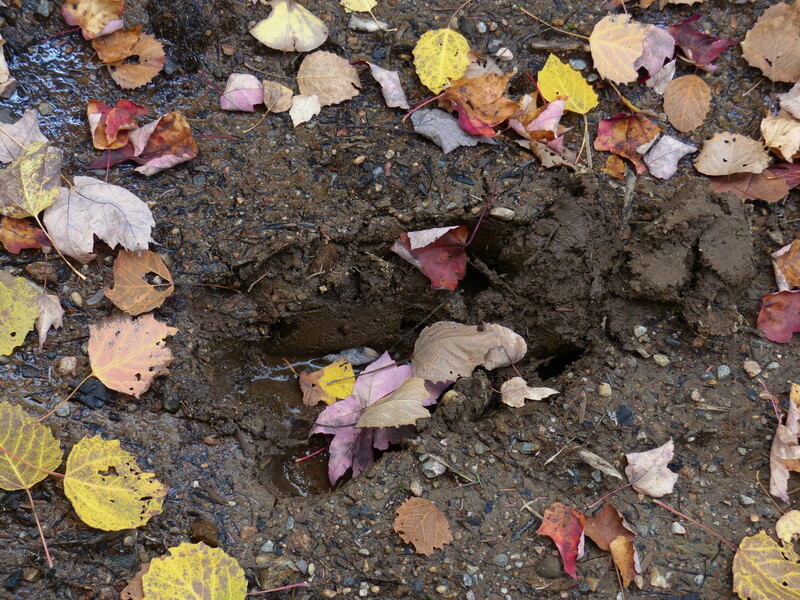 It is also home to moose, black bears, wolves, beavers, otters and snapping turtles. 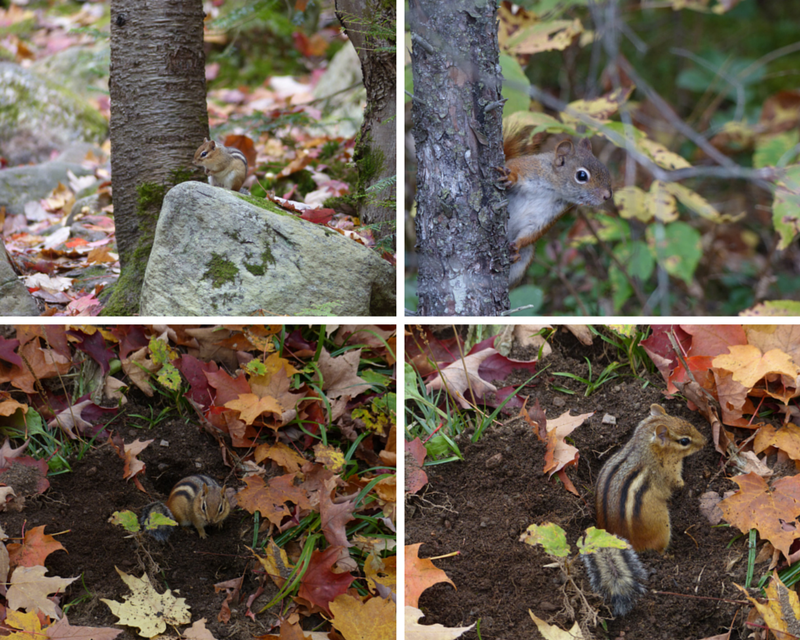 We saw none of these, but did see countless chipmunks and a few red squirrels. Red squirrels make one hell of a racket! Also, given the time of year that we visited, we were treated to wonderful autumnal colours on the trees. Our accommodation was through AirBnB, and we stayed in our own self-contained flat in Aaryn’s house in a beautiful setting. 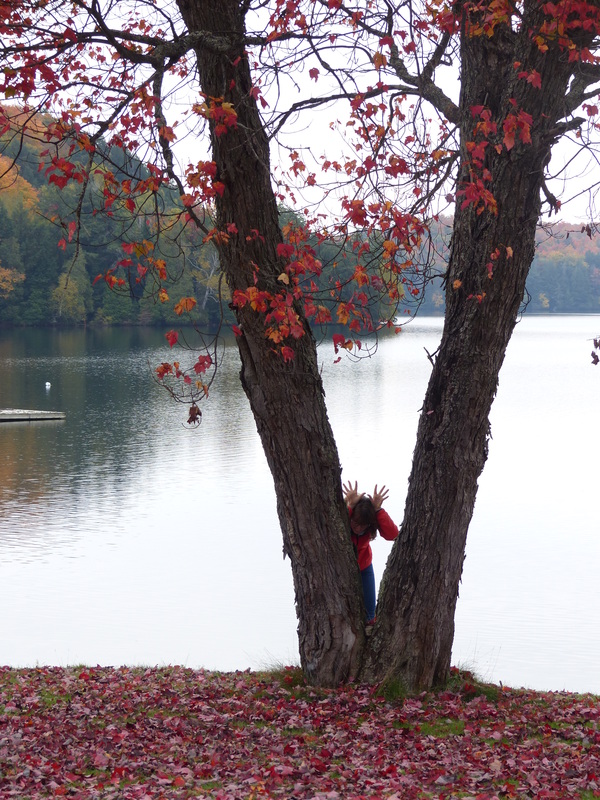 Amongst their massive grounds, they have the only access to Lassetter Lake (not Lassiter’s Lake unfortunately for Emma). It’s a relatively small lake in the grand scheme of things, but with access to a pedalo and a canoe we spent our first day paddling around and exploring. 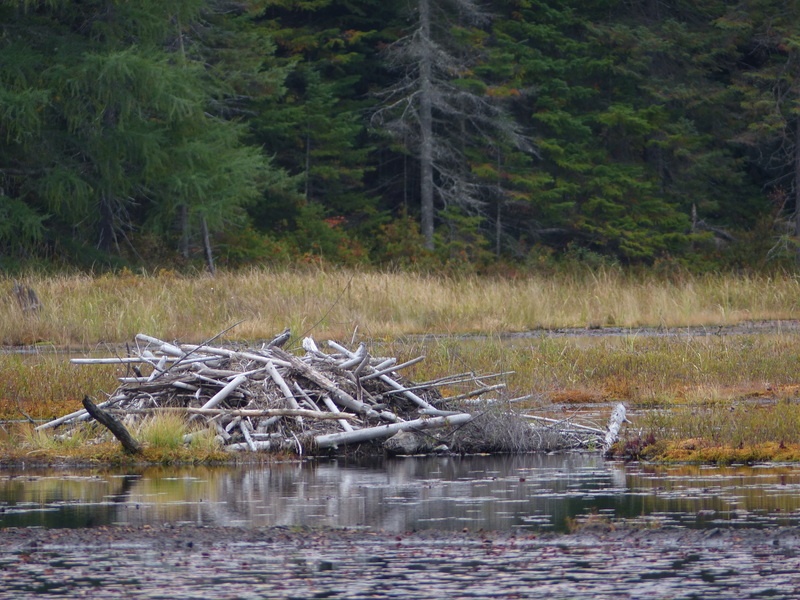 At one end of the lake was a beaver dam and home, although no sightings of our toothy friends. 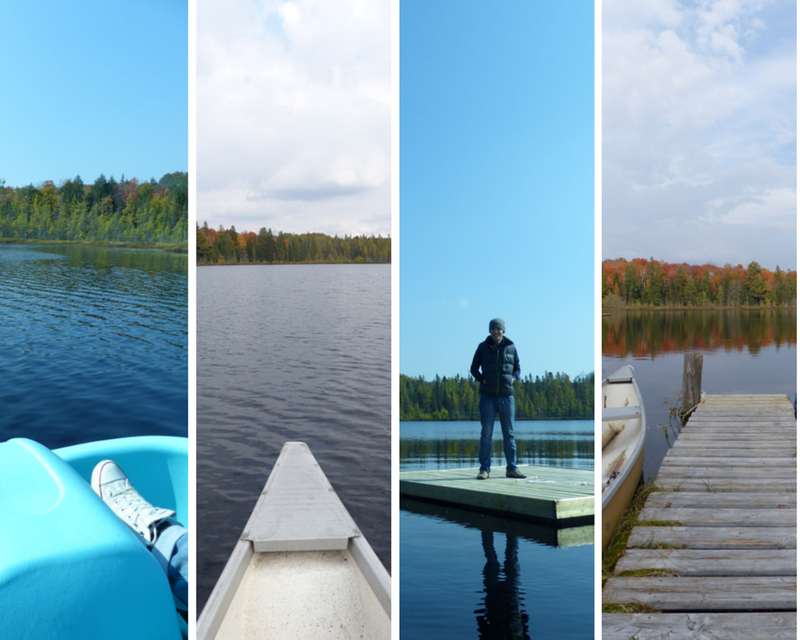 The following day, we headed deeper into Algonquin, and went on three trails. On the first, we were joined by a coach load of noisy Japanese tourists – they were probably one of the reasons why we didn’t see any bears or moose – they heard us coming! 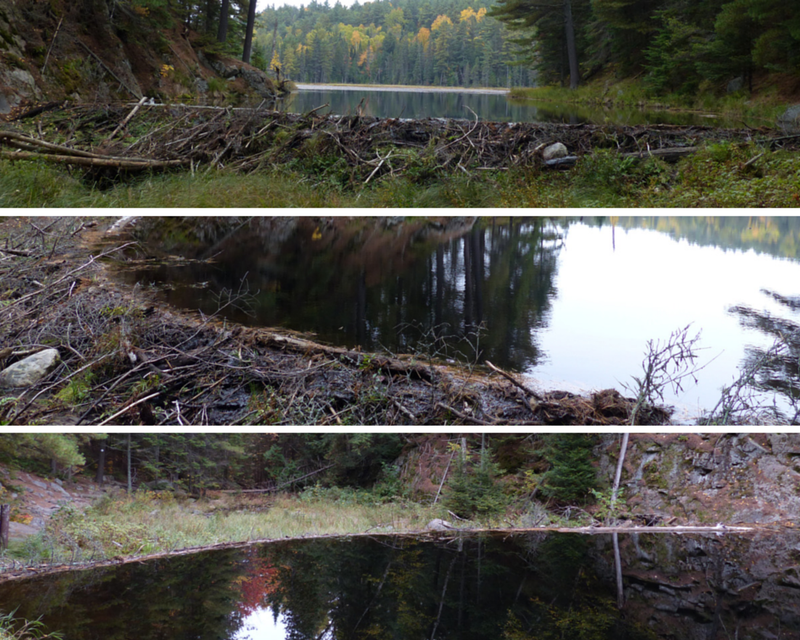 Then onto the Beaver Pond Trail, where we witnessed a whole large lake created by one beaver dam. What we didn’t witness though were any actual beavers. The Beaver Pond Trail brought us across a large beaver dam, perfectly holding back a large lake behind it. 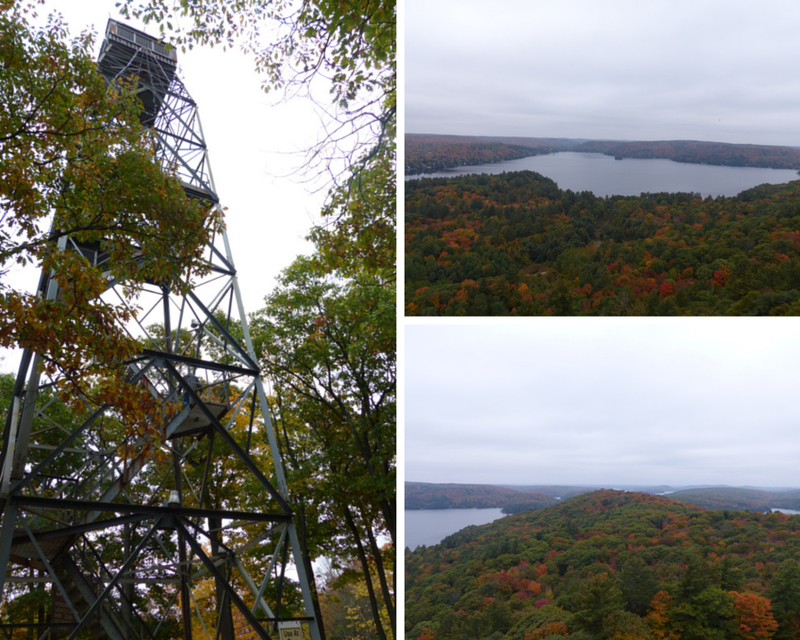 On our final day in Algonquin, we went up the Dorset Lookout Tower. Originally built to search for forest fires, it’s now a steep 30m ascent for dozens of tourists each day. 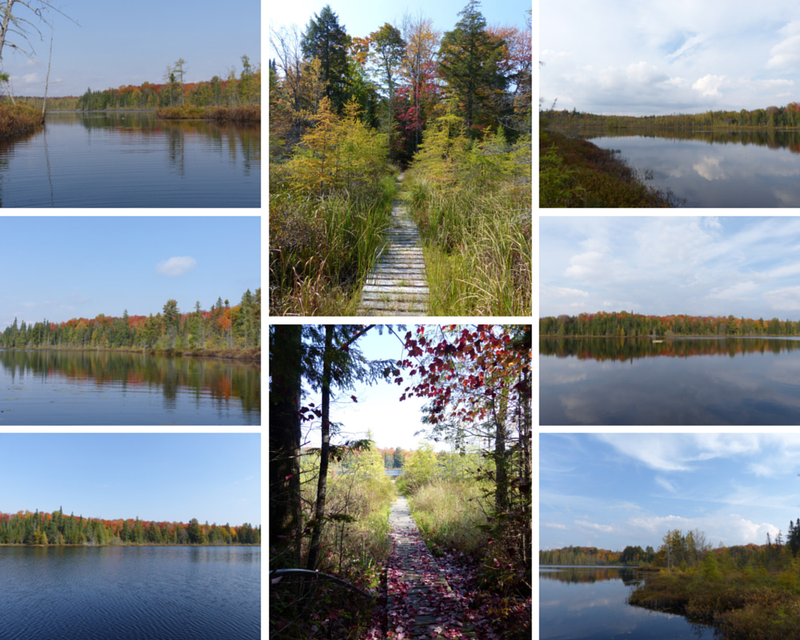 Having done a trail around the hill that the tower sits on, and again having seen no moose or bears, but plenty of chipmunks and squirrels once more, we headed to the small Limberlost Forest park. Once at Limberlost, we were utterly confused by their poor signage, and went on a brief walk by a lake before leaving as due to our fear of being locked in the park once 5pm had passed!